TournamentUSA Softball ("USA Softball") welcomes you. USA Softball provides the USA Softball Services (defined below) to you subject to the following Terms of Service ("TOS"), which may be updated by us from time to time without notice to you. By accessing and using the USA Softball Services, you accept and agree to be bound by the terms and provision of the TOS. In addition, when using particular USA Softball owned or operated services, you and USA Softball shall be subject to any posted guidelines or rules applicable to such services, which may be posted and modified from time to time. USA Softball provides users with access to a collection of resources which may be accessed through any various medium or device now known or hereafter developed (the "USA Softball Services"). You also understand and agree that the USA Softball Services may include advertisements and that these advertisements are necessary for USA Softball to provide the USA Softball Services. You also understand and agree that the USA Softball Services may include certain communications from USA Softball, such as service announcements, administrative messages and the USA Softball Newsletter, and that these communications are considered part of USA Softball membership and you will not be able to opt out of receiving them. Unless explicitly stated otherwise, any new features that augment or enhance the current USA Softball Services shall be subject to the TOS. You understand and agree that the USA Softball Services is provided "AS-IS" and that USA Softball assumes no responsibility for the timeliness, deletion, mis-delivery or failure to store any user communications or personalization settings. You are responsible for obtaining access to the USA Softball Services, and that access may involve third-party fees. You are responsible for those fees, including those fees associated with the display or delivery of advertisements. In addition, you must provide and are responsible for all equipment necessary to access the USA Softball Services. You understand that the technical processing and transmission of the USA Softball Services, including your Content, may involve (a) transmissions over various networks; and (b) changes to conform and adapt to technical requirements of connecting networks or devices. In consideration of your use of the USA Softball Services, you represent that you are of legal age to form a binding contract and are not a person barred from receiving the USA Softball Services under the laws of the United States or other applicable jurisdiction. You also agree to: (a) provide true, accurate, current and complete information about yourself as prompted by the USA Softball Service's registration form (the "Registration Data") and (b) maintain and promptly update the Registration Data to keep it true, accurate, current and complete. If you provide any information that is untrue, inaccurate, not current or incomplete, or USA Softball has reasonable grounds to suspect that such information is untrue, inaccurate, not current or incomplete, USA Softball has the right to suspend or terminate your account and refuse any and all current or future use of the USA Softball Services (or any portion thereof). You will receive an account designation upon completing the USA Softball Service's registration process. You are responsible for maintaining the confidentiality of the password and account and are fully responsible for all activities that occur under your password or account. You agree to (a) immediately notify USA Softball of any unauthorized use of your password or account or any other breach of security, and (b) ensure that you exit from your account at the end of each session. USA Softball cannot and will not be liable for any loss or damage arising from your failure to comply with this Section 5. You understand that all information, data, text, photographs, graphics, video, messages, tags, or other materials ("Content"), whether publicly posted or privately transmitted, are the sole responsibility of the person from whom such Content originated. This means that you, and not USA Softball, are entirely responsible for all Content that you upload, post, email, transmit or otherwise make available via the USA Softball Services. USA Softball does not control the Content posted via the USA Softball Services and, as such, does not guarantee the accuracy, integrity or quality of such Content. You understand that by using the USA Softball Services, you may be exposed to Content that is offensive, indecent or objectionable. Under no circumstances will USA Softball be liable in any way for any Content, including, but not limited to, any errors or omissions in any Content, or any loss or damage of any kind incurred as a result of the use of any Content posted, emailed, transmitted or otherwise made available via the USA Softball Services. You acknowledge that USA Softball may or may not pre-screen Content, but that USA Softball and its designees shall have the right (but not the obligation) in their sole discretion to pre-screen, refuse, or remove any Content that is available via the USA Softball Services. Without limiting the foregoing, USA Softball and its designees shall have the right to remove any Content that violates the TOS or is otherwise objectionable. You agree that you must evaluate, and bear all risks associated with, the use of any Content, including any reliance on the accuracy, completeness, or usefulness of such Content. 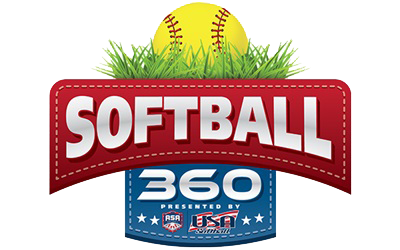 In this regard, you acknowledge that you may not rely on any Content created by USA Softball or submitted to USA Softball, including without limitation information in USA Softball Message Boards and in all other parts of the USA Softball Services. You acknowledge, consent and agree that USA Softball may access, preserve and disclose your account information and Content if required to do so by law or in a good faith belief that such access preservation or disclosure is reasonably necessary to: (i) comply with legal process; (ii) enforce the TOS; (iii) respond to claims that any Content violates the rights of third parties; (iv) respond to your requests for customer service; or (v) protect the rights, property or personal safety of USA Softball, its users and the public. You understand that the USA Softball Services and software embodied within the USA Softball Services may include security components that permit digital materials to be protected, and that use of these materials is subject to usage rules set by USA Softball and/or content providers who provide content to the USA Softball Services. You may not attempt to override or circumvent any of the usage rules embedded into the USA Softball Services. Any unauthorized reproduction, publication, further distribution or public exhibition of the materials provided on the USA Softball Services, in whole or in part, is strictly prohibited. When you register with USA Softball, you acknowledge that in using the USA Softball Services to send electronic communications (including but not limited to email, search queries and other Internet activities), you will be causing communications to be sent through USA Softball's computer networks, portions of which are located in California, Texas, Virginia, and other locations in the United States and portions of which are located abroad. As a result, and also as a result of USA Softball's network architecture and business practices and the nature of electronic communications, even communications that seem to be intrastate in nature can result in the transmission of interstate communications regardless of where you are physically located at the time of transmission. Accordingly, by agreeing to this TOS, you acknowledge that use of the service results in interstate data transmissions. Recognizing the global nature of the Internet, you agree to comply with all local rules regarding online conduct and acceptable Content. Use of the USA Softball Services and transfer, posting and uploading of software, technology, and other technical data via the USA Softball Services may be subject to the export and import laws of the United States and other countries. You agree to comply with all applicable export and import laws and regulations. In particular, you: (a) represent that you are not a party identified on any government export exclusion list, including but not limited to the U.S. Denied Persons, Entity, and Specially Designated Nationals Lists, nor will you transfer software, technology, and other technical data via the USA Softball Services to parties identified on such lists; (b) agree not to use the USA Softball Services for military, nuclear, missile, chemical or biological weaponry end uses in violation of U.S. export laws; (c) agree not to transfer, upload, or post via the USA Softball Services any software, technology or other technical data in violation of U.S. or other applicable export or import laws. With respect to Content you submit or make available for inclusion on publicly accessible areas of USA Softball, the license to use, distribute, reproduce, modify, adapt, publicly perform and publicly display such Content on the USA Softball Services solely for the purposes of providing and promoting the specific USA Softball area to which such Content was submitted or made available. This license exists only for as long as you elect to continue to include such Content on the USA Softball Services and will terminate at the time you remove or USA Softball removes such Content from the USA Softball Services. With respect to photos, graphics, audio or video you submit or make available for inclusion on publicly accessible areas of the USA Softball Services other than USA Softball Groups, the license to use, distribute, reproduce, modify, adapt, publicly perform and publicly display such Content on the USA Softball Services solely for the purpose for which such Content was submitted or made available. This license exists only for as long as you elect to continue to include such Content on the USA Softball Services and will terminate at the time you remove or USA Softball removes such Content from the USA Softball Services. With respect to Content other than photos, graphics, audio or video you submit or make available for inclusion on publicly accessible areas of the USA Softball Services other than USA Softball Groups, the perpetual, irrevocable and fully sublicensable license to use, distribute, reproduce, modify, adapt, publish, translate, publicly perform and publicly display such Content (in whole or in part) and to incorporate such Content into other works in any format or medium now known or later developed. "Publicly accessible" areas of the USA Softball Services are those areas of the USA Softball network of properties that are intended by USA Softball to be available to the general public. By way of example, publicly accessible areas of the USA Softball Services would include USA Softball Message Boards and portions of USA Softball that are open to both members and visitors. However, publicly accessible areas of the USA Softball Services would not include portions of USA Softball that are limited to members, USA Softball services intended for private communication, or areas off of the USA Softball network of properties such as portions of World Wide Web sites that are accessible via hypertext or other links but are not hosted or served by USA Softball. By submitting ideas, suggestions, documents, and/or proposals ("Contributions") to USA Softball through its suggestion or feedback webpages, you acknowledge and agree that: (a) your Contributions do not contain confidential or proprietary information; (b) USA Softball is not under any obligation of confidentiality, express or implied, with respect to the Contributions; (c) USA Softball shall be entitled to use or disclose (or choose not to use or disclose) such Contributions for any purpose, in any way, in any media worldwide; (d) USA Softball may have something similar to the Contributions already under consideration or in development; (e) your Contributions automatically become the property of USA Softball without any obligation of USA Softball to you; and (f) you are not entitled to any compensation or reimbursement of any kind from USA Softball under any circumstances. You agree to indemnify and hold USA Softball and its subsidiaries, affiliates, officers, agents, employees, partners (including ASA) and licensors harmless from any claim or demand, including reasonable attorneys' fees, made by any third party due to or arising out of Content you submit, post, transmit, modify or otherwise make available through the USA Softball Services, your use of the USA Softball Services, your connection to the USA Softball Services, your violation of the TOS, or your violation of any rights of another. You agree not to reproduce, duplicate, copy, sell, trade, resell or exploit for any commercial purposes, any portion or use of, or access to, the USA Softball Services (including Content, advertisements, Software and your USA Softball ID). You acknowledge that USA Softball may establish general practices and limits concerning use of the USA Softball Services, including without limitation the maximum number of days that email messages, message board postings or other uploaded Content will be retained by the USA Softball Services, the maximum number of email messages that may be sent from or received by an account on the USA Softball Services, the maximum size of any email message that may be sent from or received by an account on the USA Softball Services, the maximum disk space that will be allotted on USA Softball's servers on your behalf, and the maximum number of times (and the maximum duration for which) you may access the USA Softball Services in a given period of time. You agree that USA Softball has no responsibility or liability for the deletion or failure to store any messages and other communications or other Content maintained or transmitted by the USA Softball Services. You acknowledge that USA Softball reserves the right to log off accounts that are inactive for an extended period of time. You further acknowledge that USA Softball reserves the right to modify these general practices and limits from time to time. USA Softball reserves the right at any time and from time to time to modify or discontinue, temporarily or permanently, the USA Softball Services (or any part thereof) with or without notice. You agree that USA Softball shall not be liable to you or to any third party for any modification, suspension or discontinuance of the USA Softball Services (or any part thereof). You may terminate your USA Softball account, any associated email address and access to the USA Softball Services by submitting such termination request to USA Softball. You agree that USA Softball may, without prior notice, immediately terminate, limit your access to or suspend your USA Softball account, any associated email address, and access to the USA Softball Services. Cause for such termination, limitation of access or suspension shall include, but not be limited to, (a) breaches or violations of the TOS or other incorporated agreements or guidelines, (b)requests by law enforcement or other government agencies, (c) discontinuance or material modification to the USA Softball Services (or any part thereof), (d) unexpected technical or security issues or problems, (e) extended periods of inactivity, (f) engagement by you in fraudulent or illegal activities, and/or (g) nonpayment of any fees owed by you in connection with the USA Softball Services. Further, you agree that all terminations, limitations of access and suspensions for cause shall be made in USA Softball's sole discretion and that USA Softball shall not be liable to you or any third party for any termination of your account, any associated email address, or access to the USA Softball Services. Termination of your USA Softball account includes any or all of the following: (a) removal of access to all or part of the offerings within the USA Softball Services, (b) deletion of your password and all related information, files and content associated with or inside your account (or any part thereof), and (c) barring of further use of all or part of the USA Softball Services. Your correspondence or business dealings with, or participation in promotions of, advertisers found on or through the USA Softball Services, including payment and delivery of related goods or services, and any other terms, conditions, warranties or representations associated with such dealings, are solely between you and such advertiser. You agree that USA Softball shall not be responsible or liable for any loss or damage of any sort incurred as the result of any such dealings or as the result of the presence of such advertisers on the USA Softball Services. The USA Softball Services may provide, or third parties may provide, links to other World Wide Web sites or resources. You acknowledge and agree that USA Softball is not responsible for the availability of such external sites or resources, and does not endorse and is not responsible or liable for any Content, advertising, products or other materials on or available from such sites or resources. You further acknowledge and agree that USA Softball shall not be responsible or liable, directly or indirectly, for any damage or loss caused or alleged to be caused by or in connection with use of or reliance on any such Content, goods or services available on or through any such site or resource. You acknowledge and agree that the USA Softball Services and any necessary software used in connection with the USA Softball Services ("Software") contain proprietary and confidential information that is protected by applicable intellectual property and other laws. You further acknowledge and agree that Content contained in advertisements or information presented to you through the USA Softball Services or by advertisers is protected by copyrights, trademarks, service marks, patents or other proprietary rights and laws. Except as expressly permitted by applicable law or as authorized by USA Softball or the applicable licensor (such as an advertiser), you agree not to modify, rent, lease, loan, sell, distribute, transmit, broadcast, publicly perform or create derivative works based on the USA Softball Services, such Content or the Software, in whole or in part. USA Softball grants you a personal, non-transferable and non-exclusive right and license to use the object code of its Software on a single computer; provided that you do not (and do not allow any third party to) copy, modify, create a derivative work from, reverse engineer, reverse assemble or otherwise attempt to discover any source code, sell, assign, sublicense, grant a security interest in or otherwise transfer any right in the Software. You agree not to modify the Software in any manner or form, nor to use modified versions of the Software, including (without limitation) for the purpose of obtaining unauthorized access to the USA Softball Services. You agree not to access the USA Softball Services by any means other than through the interface that is provided by USA Softball for use in accessing the USA Softball Services. YOUR USE OF THE USA Softball SERVICES AND SOFTWARE ARE AT YOUR SOLE RISK. THE USA Softball SERVICES AND SOFTWARE ARE PROVIDED ON AN "AS IS" AND "AS AVAILABLE" BASIS. USA Softball, ASA AND ITS SUBSIDIARIES, AFFILIATES, OFFICERS, EMPLOYEES, AGENTS, PARTNERS AND LICENSORS EXPRESSLY DISCLAIM ALL WARRANTIES OF ANY KIND, WHETHER EXPRESS OR IMPLIED, INCLUDING, BUT NOT LIMITED TO THE IMPLIED WARRANTIES OF TITLE, MERCHANTABILITY, FITNESS FOR A PARTICULAR PURPOSE AND NON-INFRINGEMENT. USA Softball, ASA AND ITS SUBSIDIARIES, AFFILIATES, OFFICERS, EMPLOYEES, AGENTS, PARTNERS AND LICENSORS MAKE NO WARRANTY THAT (i) THE USA Softball SERVICES OR SOFTWARE WILL MEET YOUR REQUIREMENTS; (ii) THE USA Softball SERVICES OR SOFTWARE WILL BE UNINTERRUPTED, TIMELY, SECURE OR ERROR-FREE; (iii) THE RESULTS THAT MAY BE OBTAINED FROM THE USE OF THE USA Softball SERVICES OR SOFTWARE WILL BE ACCURATE OR RELIABLE; (iv) THE QUALITY OF ANY PRODUCTS, SERVICES, INFORMATION OR OTHER MATERIAL PURCHASED OR OBTAINED BY YOU THROUGH THE USA Softball SERVICES OR SOFTWARE WILL MEET YOUR EXPECTATIONS; AND (v) ANY ERRORS IN THE SOFTWARE WILL BE CORRECTED. ANY MATERIAL DOWNLOADED OR OTHERWISE OBTAINED THROUGH THE USE OF THE USA Softball SERVICES OR SOFTWARE IS ACCESSED AT YOUR OWN DISCRETION AND RISK, AND YOU WILL BE SOLELY RESPONSIBLE FOR AND HEREBY WAIVE ANY AND ALL CLAIMS AND CAUSES OF ACTION WITH RESPECT TO ANY DAMAGE TO YOUR COMPUTER SYSTEM, INTERNET ACCESS, DOWNLOAD OR DISPLAY DEVICE, OR LOSS OF DATA THAT RESULTS FROM THE DOWNLOAD OF ANY SUCH MATERIAL. NO ADVICE OR INFORMATION, WHETHER ORAL OR WRITTEN, OBTAINED BY YOU FROM USA Softball OR THROUGH OR FROM THE USA Softball SERVICES OR SOFTWARE SHALL CREATE ANY WARRANTY NOT EXPRESSLY STATED IN THE TOS. A SMALL PERCENTAGE OF USERS MAY EXPERIENCE EPILEPTIC SEIZURES WHEN EXPOSED TO CERTAIN LIGHT PATTERNS OR BACKGROUNDS ON A COMPUTER SCREEN OR WHILE USING THE USA Softball SERVICE. CERTAIN CONDITIONS MAY INDUCE PREVIOUSLY UNDETECTED EPILEPTIC SYMPTOMS EVEN IN USERS WHO HAVE NO HISTORY OF PRIOR SEIZURES OR EPILEPSY. IF YOU, OR ANYONE IN YOUR FAMILY, HAVE AN EPILEPTIC CONDITION, CONSULT YOUR PHYSICIAN PRIOR TO USING THE USA Softball SERVICE. IMMEDIATELY DISCONTINUE USE OF THE USA Softball SERVICES AND CONSULT YOUR PHYSICIAN IF YOU EXPERIENCE ANY OF THE FOLLOWING SYMPTOMS WHILE USING THE USA Softball SERVICE: DIZZINESS, ALTERED VISION, EYE OR MUSCLE TWITCHES, LOSS OF AWARENESS, DISORIENTATION, ANY INVOLUNTARY MOVEMENT, OR CONVULSIONS. YOU EXPRESSLY UNDERSTAND AND AGREE THAT USA Softball, ASA AND ITS SUBSIDIARIES, AFFILIATES, OFFICERS, EMPLOYEES, AGENTS, PARTNERS AND LICENSORS SHALL NOT BE LIABLE TO YOU FOR ANY PUNITIVE, INDIRECT, INCIDENTAL, SPECIAL, CONSEQUENTIAL OR EXEMPLARY DAMAGES, INCLUDING, BUT NOT LIMITED TO, DAMAGES FOR LOSS OF PROFITS, GOODWILL, USE, DATA OR OTHER INTANGIBLE LOSSES (EVEN IF USA Softball OR ASA HAS BEEN ADVISED OF THE POSSIBILITY OF SUCH DAMAGES), RESULTING FROM: (a) THE USE OR THE INABILITY TO USE THE USA Softball SERVICE; (b) THE COST OF PROCUREMENT OF SUBSTITUTE GOODS AND SERVICES; (c) UNAUTHORIZED ACCESS TO OR ALTERATION OF YOUR TRANSMISSIONS OR DATA; (d) STATEMENTS OR CONDUCT OF ANY THIRD PARTY ON THE USA Softball SERVICE; OR (e) ANY OTHER MATTER RELATING TO THE USA Softball SERVICE. SOME JURISDICTIONS DO NOT ALLOW THE EXCLUSION OF CERTAIN WARRANTIES OR THE LIMITATION OR EXCLUSION OF LIABILITY FOR INCIDENTAL OR CONSEQUENTIAL DAMAGE. If you intend to create or join any service, receive or request any news, messages, alerts or other information from the USA Softball Services concerning companies, stock quotes, investments or securities, USA Softball and its licensors shall not be responsible or liable for the accuracy, usefulness or availability of any information transmitted or made available via the USA Softball Services, and shall not be responsible or liable for any trading or investment decisions based on such information. USA Softball may provide you with notices, including those regarding changes to the TOS, including by but not limited to email, regular mail, SMS, MMS, text message, postings on the USA Softball Services, or other reasonable means now known or hereafter developed. Such notices may not be received if you violate this TOS by accessing the USA Softball Services in an unauthorized manner. Your agreement to this TOS constitutes your agreement that you are deemed to have received any and all notices that would have been delivered had you accessed the USA Softball Services in an authorized manner. You agree that all of USA Softball’s trademarks, trade names, service marks and other USA Softball logos and brand features, and product and service names are trademarks and the property of USA Softball. (the "USA Softball Marks"). Without USA Softball's prior permission, you agree not to display or use in any manner the USA Softball Marks. All other trademarks and trade names are the property of their respective holders. Entire Agreement. The TOS constitutes the entire agreement between you and USA Softball and governs your use of the USA Softball Services, superseding any prior version of this TOS between you and USA Softball with respect to the USA Softball Services. You also may be subject to additional terms and conditions that may apply when you use or purchase certain other USA Softball services, affiliate services, third-party content or third-party software. Waiver and Severability of Terms. The failure of USA Softball to exercise or enforce any right or provision of the TOS shall not constitute a waiver of such right or provision. If any provision of the TOS is found by a court of competent jurisdiction to be invalid, the parties nevertheless agree that the court should endeavor to give effect to the parties' intentions as reflected in the provision, and the other provisions of the TOS remain in full force and effect. No Right of Survivorship and Non-Transferability. You agree that your USA Softball account is non-transferable and any rights to your USA Softball ID or contents within your account terminate upon your death. Upon receipt of a copy of a death certificate, your account may be terminated and all contents therein permanently deleted. Statute of Limitations. You agree that regardless of any statute or law to the contrary, any claim or cause of action arising out of or related to use of the USA Softball Services or the TOS must be filed within one (1) year after such claim or cause of action arose or be forever barred. Please report any violations of the TOS to the administrator.